Sometimes the Fates give you a do-over. Ten years ago, Bix and her team of Dark Ops agents had a mission to rescue one of their own. The mission went pear-shaped; her team died, she was exiled, and the package was never retrieved. The guilt for that failure is a weight Bix can’t shake…until she receives news that the agent is still alive and in possession of technology that could destroy the Mid Worlds. All Bix has to do is break the captured spy out of a top-secret supermax facility and destroy the tech before enemy forces beat her to the punch. Unfortunately, a prison built of potent magic to contain the Mids’ worst deviants isn’t on any map or radar. To get the necessary intel, Bix will resurrect a menacing identity and reach deep into the criminal underbelly where her legacy is far from forgotten. Old enemies lurk in the shadows, swift to strike. Even the darkness can betray her. As her allies fall, Bix will have to rely on the aid of adversaries to complete her mission. But supermax does strange things to the mind, and some things cannot be undone. 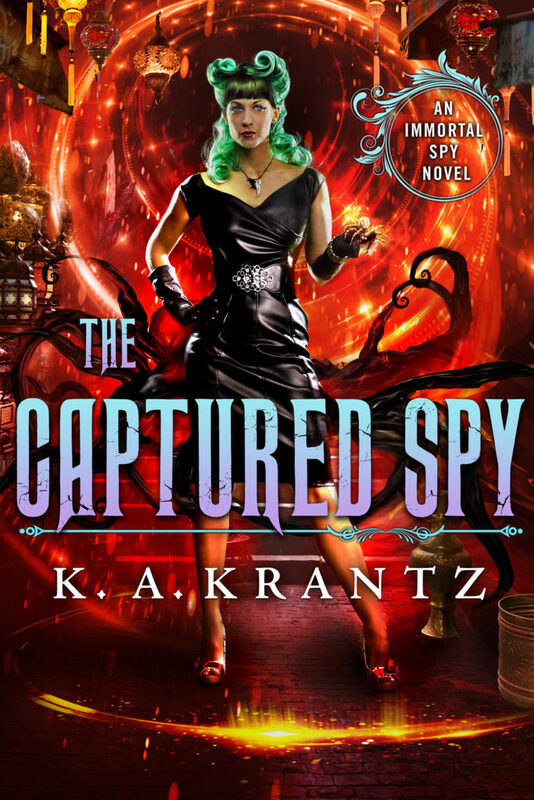 Gods will perish when madness descends upon a captured spy.